Disney reached a deal with unions that would hike the minimum wage for Walt Disney World Resort workers to $15 an hour by 2021, signaling an end to contract negotiations that have dragged on for nearly a year. The agreement, which covers thousands of park and resort employees, would increase starting wages by 50%. Workers would also get the $1,000 bonuses they were promised earlier this year. Marathon negotiations carried into the early morning this week before a deal was reached late Friday night, according to a union official. It will be voted on by union members on September 5 and is expected to easily pass. "I expect it to be a resounding 'yes,'" said Eric Clinton, president of Unite Here Local 362. "We've had excellent turnout. People feel so high ... I walked in this morning at 7 a.m. for a staff meeting and people were clapping and cheering, and they just really feel great." 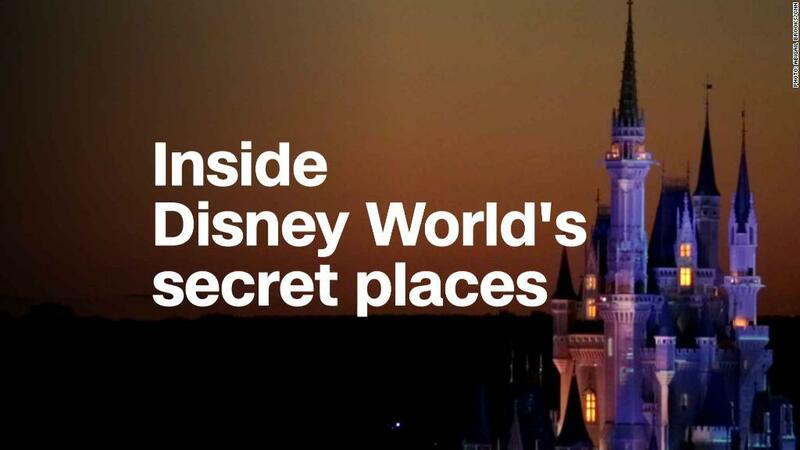 Disney (DIS) said in a statement that the deal contains the "largest proposal ever offered by Walt Disney World Resort with significant pay raises." Robbin Almand, vice president of labor relations for Walt Disney Parks and Resorts, said the company was "thrilled" to offer "what is one of the highest entry-level service wages in the country." The deal also includes an offer to retroactively pay workers an additional 50 cents an hour or 3% —whichever is greater — for all hours worked since September of 2017. Disney previously threatened not to pay out the $1,000 bonuses amid the contentious negotiations with the Service Trades Council Union, or STCU, which represents six unions covering 38,000 employees at the park and resort. Clinton said the unions did not make any major concessions during negotiations. He said the agreement reached this week was the result of workers putting up a united front. "Disney is a powerful company, they're a formidable foe," he said. "To stand up to your boss that's that big and that powerful is really remarkable, and it's really inspiring." Employees covered by the deal include food service, custodial, hotel and park workers. Under the agreed upon terms, the minimum wage will climb incrementally over the next three years before hitting $15 per hour in October of 2021. Maddy Johnson, a University of Central Florida student who works more than 50 hours a week at Disney, said she's been employed by the park for five years and hasn't seen any significant raises. She makes $11 an hour as an attractions hostess at the Animal Kingdom's Kilimanjaro Safaris. When she got word about the deal reached Friday, she said she cried. "I work overtime to try to make ends meet," Johnson said. "I never thought I'd get to see an increase that's so historic, and so huge that's going to impact every Cast Member." Disney reached a deal in July to lift the minimum hourly wage to $15 for 10,000 Disneyland workers in Anaheim, California beginning next year. That agreement also ended a long battle with union representatives. The company signaled in June that it was willing to offer a $15 minimum wage to Walt Disney World employees, but negotiations remained hamstrung over certain provisions Disney wanted to include in the new contract. They included rules governing scheduling and how employees are paid for working overtime and holidays.